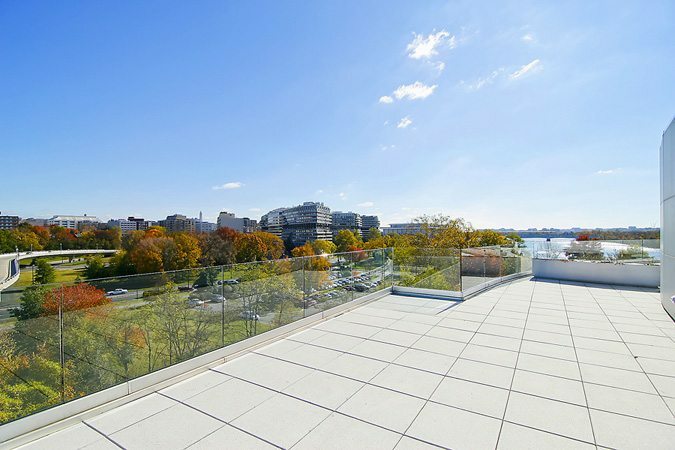 With only seven residences in the entire building (six of which are two-level penthouses boasting the most spectacular private roof decks available in the city), The Residences at Harbourside sit on one of Washington’s most commanding locations on the Georgetown Waterfront. Thanks to a rare combination of sleek European design, luxurious finishes, first-class service and discreet exclusivity, these residences rarely are offered for sale. Since 2011, only one property has sold — a 2-bedroom, 2-bath condo measuring just 1,813 sq. ft. and commanding $1.3 million. The Residences at Harbourside Unit 603 is presently offered for sale, fully furnished at $3,995,000. This stunning opportunity features 4 bedrooms, 4 baths, and 4,800 sq. ft. on 2 levels plus 2,700 sq. ft. wraparound terraces. A circular staircase connects to the upper entertaining level. 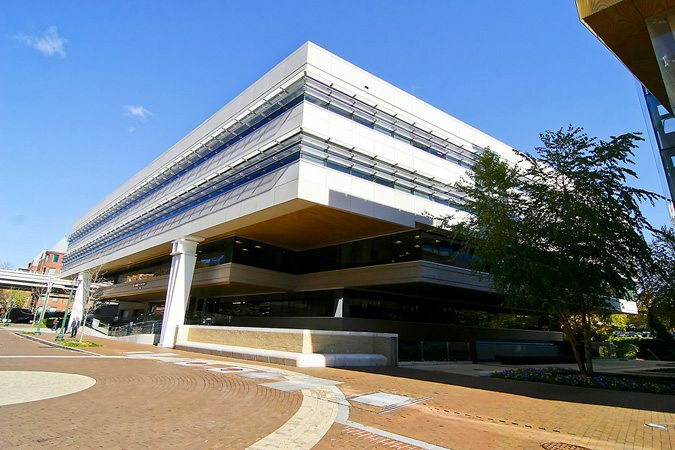 With views of the Potomac River, the Kennedy Center and Georgetown, The Residences at Harbourside is just steps away from the city’s best fine dining (including our favorite, Fiola Mare), shopping, theater and the arts. Nearby, Georgetown is lively day and night — tree-lined streets and waterfront parks share space with historic townhomes, palatial mansions and a growing number of stunning luxury condominiums and conversions with spectacular penthouses. Georgetown is a pedestrian’s dream with everything residents need being in close walking distance. Taking to the roads is easy via Whitehurst Parkway, the Clara Barton Parkway and multiple access points to Virginia. National Airport is just 10 minutes away. 3303 Water Street, 22 West, Ritz-Carlton West End, Turnberry Tower, Ritz-Carlton Georgetown and 2501 Pennsylvania. For a tour of The Residences at Harbourside, the Georgetown neighborhood or a particular luxury condo building, contact me, Jeff Wilson, at your convenience.